In the run up to Delhi's municipality elections, which took place across 272 wards April 23, one of the biggest battlegrounds was the internet. The ammunition: Twitter and Facebook. Starting with the incumbent BJP's Delhi IT cell, where about 350 party supporters volunteered their time to creating political posts, tweets, and videos. This further expanded into 200 ward-specific WhatsApp groups comprising 1,000 members each. 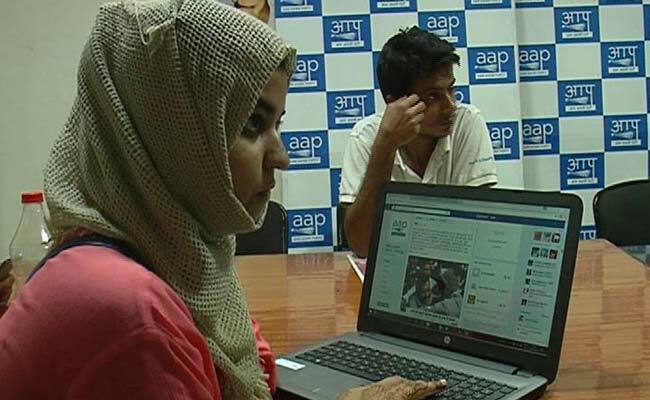 "What we have done differently with the MCD elections is tie the online with the offline. Our party workers, when they go on the ground, they are at tea stalls or on the road talking to our supporters, they will show them videos and posts on their phones," said Sumit Bhasin, head of the BJP IT cell in Delhi. Also battle-ready was the Congress' MCD social media, which comprised about 20 NSUI members, youth Congress members and volunteers with expertise in strategy, copy-writing and graphic designing. 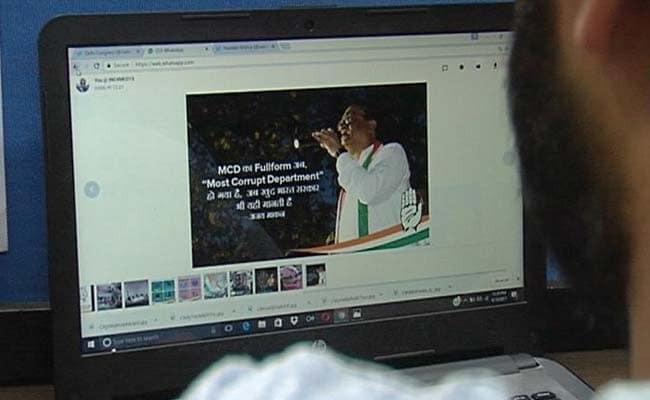 MCD Elections: Congress had a total of 40,000 WhatsApp members for decentralised messaging. Team Head Ranajit Mukherjee said, "Each ward has their own specific issues, but when it comes to social media, the messaging for all three corporations is the same. Where the difference comes in is on WhatsApp." The party had a total of 40,000 WhatsApp members for decentralised messaging. Depending on the demography of the ward, posts were in English, Hindi, Punjabi or Bhojpuri. "Facebook Lives also worked well for us. For instance, we had Jairam Ramesh at the Bhalswa landfill talking about the need to clean up this waste, and the only way to reach that message to all our supporters was through Facebook Live," Mr Mukherjee said. Entering the civic poll war room for the first time was the 12-member Aam Aadmi Party's IT cell, which played a big role in Chief Minister Avrind Kejriwal's 2015 assembly win. "We received over 600 videos in response to our campaign on house tax and electricity bills," says Ankit Lal, head of the AAP's IT cell. This campaign worked hand-in-hand with the offline strategy of auto-rickshaws with loud-speakers. Lal adds that the strategy is vastly different from recent assembly elections, since here each ward has its own issues. "In Andrew's Ganj we would talk about parking areas and parks, whereas in Khanpur it would be water, water and water."